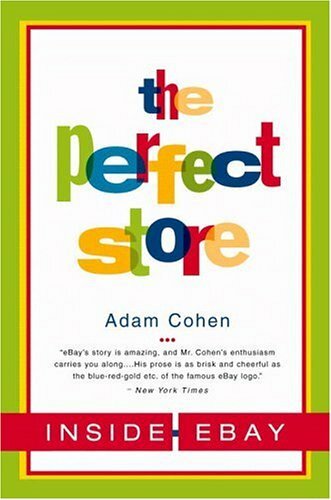 For those that don't know, "The Perfect Store" tells the story of eBay, how it was started, who was involved, its community, its growth, and the IPO, basically everything up to around 2001. The book was very well-written, I thought. So much so, that I felt more affinity with the company before it went public than afterwards. For the entrepreneurial section of the book, I was eating the pages up, breathlessly soaking in the stories of many of the people involved—these large number of perspectives included in the book, are one of its strengths. Then, after d-day, the IPO, my sentiments sank. I felt the floor opening up beneath me, all my pioneering instincts gone, given away to the "suits." But I imagine some people will see it from a different perspective, and that is how well-written "The Perfect Store" is. Normally, I would review a book in pieces, but since I read the book some 4-5 months ago, I'll instead try to summarise the key points I got from the book. Where you are from matters to where you are going: I notice this over and over again. Pierre Omidyar, eBay's founder, is a Libertarian, which rougly translates to letting people solve their own problems, with as little interference as possible. You can see this play out in eBay's largely decentralised shopping-model. The lesson here is not, I think, that everyone should be like eBay, but that whatever you do, should in some way reflect what you believe in. Be professional quickly: I don't think eBay would be where it was today, if Pierre hadn't immediately tried to attract talent, starting with Jeff Skoll, an acquaintance and Stanford MBA, all the way up to Meg Whitman, who was instrumental in handling the IPO and is still eBay's CEO today. Many entrepreneurs are in the game because they want to be independent. Opinions may vary, but a smaller piece of a bigger pie is usually better than a small pie all to yourself. Venture capital is not just money: eBay was consistently profitable from day one, so they actually didn't need financing. But there was one important reason for going to a venture capitalist: professionalisation. eBay needed to send a signal to the world, that it was an important player on the market. It needed to attract talent, and form a growth strategy. All of which happened after it took on venture capital. Community matters: eBay's key to success was not only her low capital costs (no stock, little overhead), but also her close ties with the users of the site. At the beginning, little in features was introduced on the site without consulting the users first. Because of this and ultimately the high switching costs, eBay benefited from what is known as the Network Effect. That said, as a company grows, community-involvement cannot be as strong, and new mechanisms must be put in place to place to stay in touch with your core-users. eBay had a lot of problems in this area. IPO's can be traumatic: Somewhat related to the point about communities and change, when Ebay went public, it created a rift between the core-values of her original workforce and users, and the values of the financial community and the media. There's not much to say about this, except that just as it takes a particular type of people to start a company, the same applies for people taking a company public, and as a founder (and start-up-employee), you must learn to let go. 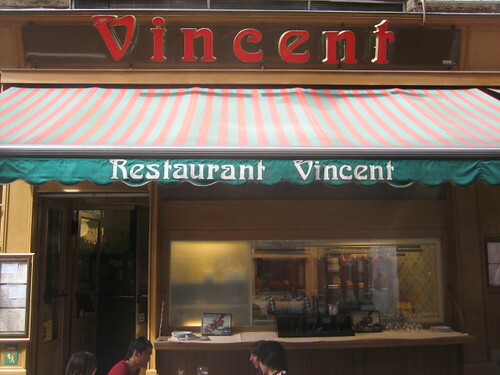 Make your IT-infrastructure scaleable: this is the only tech-advice in this post, but Pierre had no idea how quickly eBay would take off, and the company was plagued by technical issues from the start. Only some years later, when Meg Whitman became the new CEO, did proper staff get hired and was the infrastructure upgraded for scale. That's about it. I'm sure, I forgot some key-points, and would appreciate comments on this, if you have read the book. I do remember thinking that "The Perfect Store" was the absolute best book I ever read on starting a company, interacting with community and stakeholders, and the effects of an IPO. So, highly recommended for this reason alone, and also to gain a good insight into eBay as a business until 2001-2.